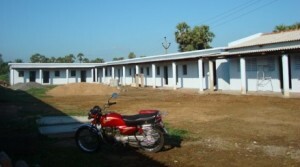 Projects in India | Freedom's Hope Ministry, Inc. In 2012 we had the joy of getting to send Peter (our Overseer in India) to various indigenous ministers to talk with them, encourage them in the Lord and see the work for the Lord taking place in person. One of those ministers is Jeebanandan, who Peter was not originally planning to visit during this particular ministry trip, however, as we know God’s ways are higher than ours and His plans superior to ours. While en route, Peter found his train was traveling not far from where Jeebanandan resides in Orissa. He felt compelled to call him and found he lived only half an hour away from the train stop. Not only that, this brother in the Lord was able to drive the distance, on the spur of the moment, and pick Peter up. This divine appointment allowed Peter to visit with this brother, encourage him in his work teaching young impoverished children. 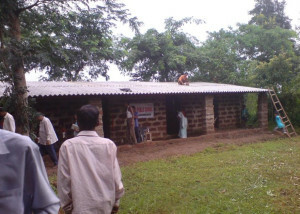 They had started building a simple school room building, but did not have money to complete it. LAF was able, by God’s grace, to provide the money for a roof, which Peter and another brother helped see this project to fruition. Now the children have a roof over their heads during the rainy season when the torrents come. On September 22, 2012 Peter was able to be there for the celebration of the opening of Alpha Public School (public refers to the fact that it is opened to the public). Peter said, “I testified how the Lord provided for this school and preached a while, thanked LAF USA in the inaugural service, dedicated the school in the name of the Father, Son and the Holy Spirit by cutting a ribbon at the door.” We praise God for this opportunity. This school project should now be self-sustaining, as Mr. Jeebanandan is using his small photography business to support his family and ministry work. 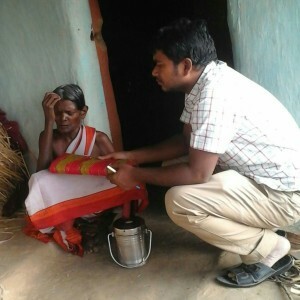 Another indigenous Indian minister we have been helping monthly in a small way ($15 per month) is that of Bala Sundaram. He and his family are caring for 37 children. Although we know this is a small amount of money and the need is big, we thank God we are able to give a little, as did the little boy in the Bible, and God turns it into enough to meet the needs. God is looking for willing vessels to use for His purposes. 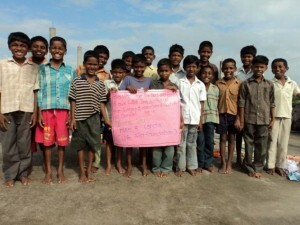 Children in Bala Sundaram’s care during Peter’s visit April, 2012. Peter is in the middle with a white shirt. We’ve also been privileged to help Masilimani and his mother and sisters a little bit most of the months this year to help them care for the orphans they’ve taken in and are raising for the Lord. They have 16 children. 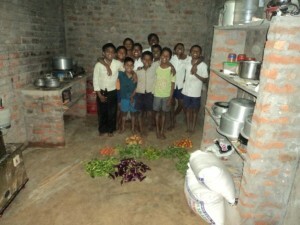 Our small gifts of $18 a month have been providing rice and vegetables for all the children for two weeks each time. Another indigenous minister we are helping is Michaela, by meeting her physical needs through a small gift each month, so she can continue her volunteer work to provide free education for the very poor in her area as she works under the oversight of Ptr. 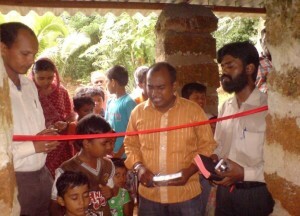 Rohit, another minister Peter got to meet and we’d like to help more. This is the beginning. Peter also had the opportunity to visit Rao and his amazing and wonderful ministry working with the Chenchus people. 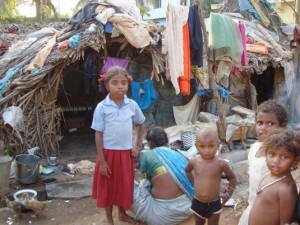 This is the situation in Rao’s own words, “these so called high caste people, moneylenders and landlords have been using these people to clean their toilets, washing their cloths, cleaning their houses, utensils and treating them like ANIMALS and BONDED SLAVES; I am enclosing their photos you can see their un-hygienic and pathetic living conditions, when you see these pictures and hear their suffering stories, definitely your eyes will wet and your heart will melt.” Peter was also appalled at the living conditions, but excited about what Bro. Rao and other brothers and sisters in the Lord are helping them do. He is giving them hope and showing them they have a future in Jesus. We really want to help them with this worthwhile project. This project Bro. Rao is doing with the Chenchus people will provide housing to keep out the rain, one room apartments for each family who helps with the work of building the small apartment complex for the 28 families. The people are working hard to build the building. 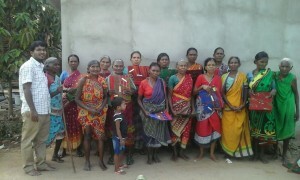 Another group of people neglected are the poor widows in various parts of India. In the past we have been able to give aid to the poor widows, and would greatly desire to continue this much needed ministry. 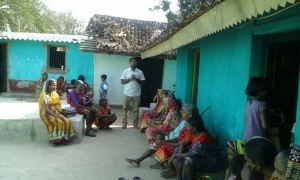 One such ministry that needs our help is Pastor Samuel Gorada’s ministry to the poor widows in Orissa. When he is able to, he provides sarees and a meal. With a small donation, we can do much more. 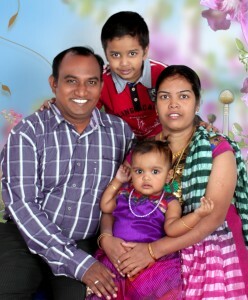 This is Peter & Suba and our son Kamal Justus and daughter Karol Justina. To God be the glory who is faithful in all His marvelous doings! Year 2015 is completing the 15 years of my relationship with Mr. & Mrs. Furman as my spiritual parents. They have been a great blessing to me from my bachelor life till now as a father of two children!! 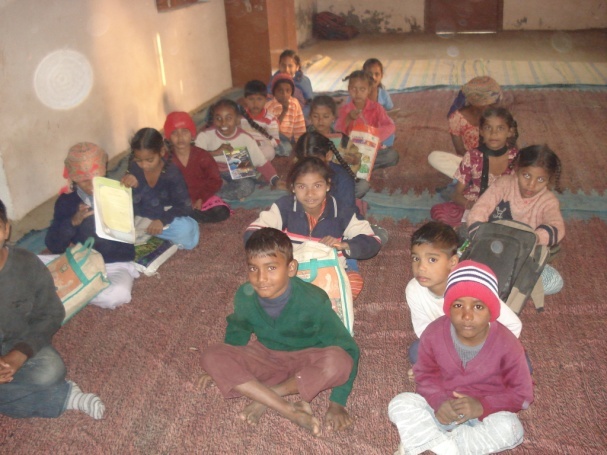 I was trained into various ministerial giftings and have been serving the Lord as a Travelling Preacher and teaching at many bible schools in various states of India. As a latest update in the year 2014 God has enabled me to travel more than 22,000 kms to equip about 300 nationals for the ministry. Glory be unto God alone!! In past 10 years, since 2004 to 2014 I have visited 15 states of India towards teaching and preaching and also towards Life Aid Foundation Ministry Visiting Tours as an LAF India Overseer. There has been many challenges and many exciting moments in all those trips!! May the Lord bless you all richly!